PRESS RELEASE: Billerica, Massachusetts, July 28, 2017 — Hyster Company has announced that the electrification of its line of Hyster® Big Trucks is in development (see Hyster press release). 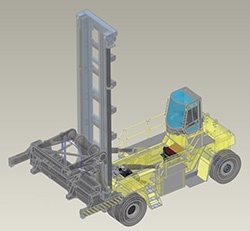 This activity paves the way for zero-emission, fuel-cell versions of heavy duty trucks. 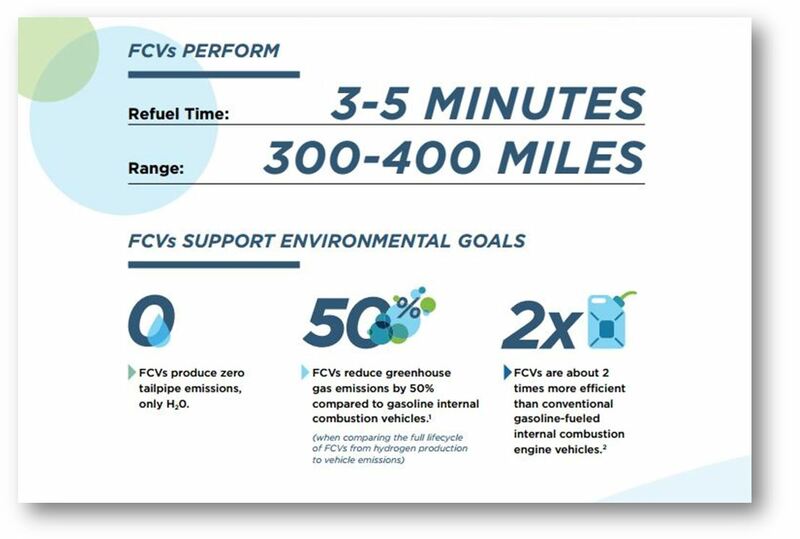 Furthering this idea, zeroemissions.org provides fuel cell vehicle (FCV) facts to support the idea of zero emissions with zero compromise. There are two types of commercialized zero-emission vehicles (ZEVs) available to consumers today, the fuel cell electric vehicle (FCEV) and the battery electric vehicle (BEV). Both types of vehicles support greenhouse gas reductions, improve local air quality, and reduce reliance on oil. Many automakers are now investing in fuel cells as an essential technology to create consumer-friendly zero-carbon transportation options. Have you found yourself wondering how to better understand comparisons between battery- and fuel cell-powered cars? It starts by avoiding a common mistake, the generalization that pits ‘hydrogen cars’ against ‘electric cars.’ In fact, hydrogen-powered cars ARE electric cars. Electric vehicles (EVs) can be fueled either by a battery (making it a battery electric vehicle: BEV), or a hydrogen fuel cell (making it a fuel cell electric vehicle: FCEV). In both cases, the car is an electric car. In 2009, 400 journalists from over 42 countries reported with excitement on the Gold and Silver SIMA Innovation awards for a hydrogen-powered tractor debut. Since then, the zero-emissions NH2 tractor by the agricultural equipment manufacturer, New Holland, has generated tremendous interest in sustainable farming with practical trials at New Holland’s energy independent farm in Venaria, Italy. The energy independent farm and tractor concept have now earned a place among the top projects of the Industry 2015 Program: New Technologies for Made in Italy. Toyota is allowing a battery-supply deal with Tesla Motors to expire in 2014 in order to focus on developing next-generation technology that rivals Tesla’s battery-powered electric vehicle. The decision to end its Tesla deal shows a shift away from batteries towards fuel cells. Even before ending the 4-year deal with Tesla, the Japanese auto manufacturer has been sending increasingly obvious signals that it sees the future of zero-emission technology in fuel cell electric vehicles (FCEVs). The reason: Fuel cell electric vehicles, also known as hydrogen vehicles, offer a significantly greater range and are ready to drive without charging. 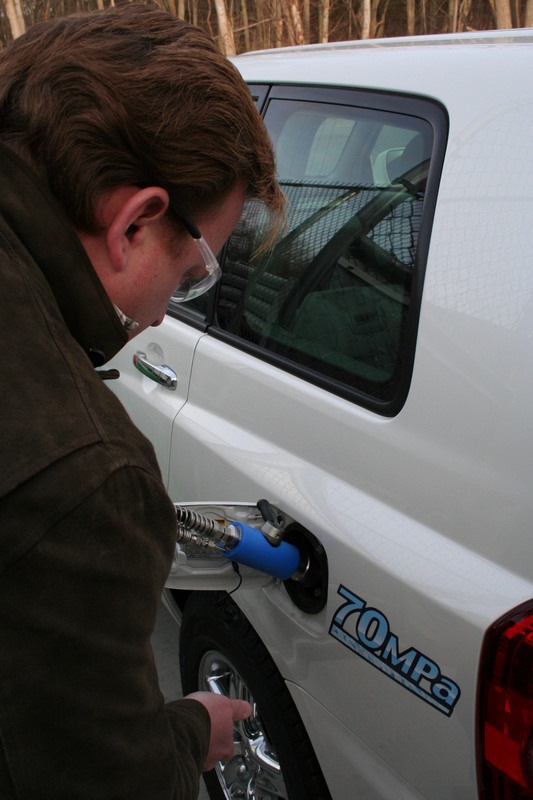 Like conventional gasoline-powered vehicles, FCEVs simply fuel up at a filling station. But there’s an important difference. 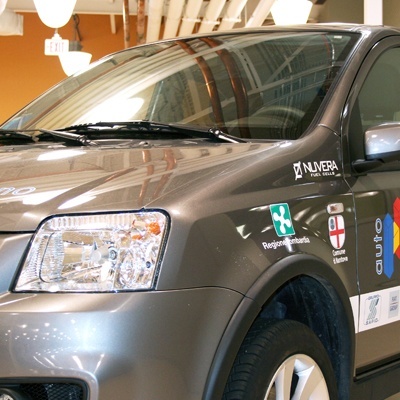 The fuel is hydrogen and the fuel cell (which creates electricity from a reaction between hydrogen and the oxygen in air) powers the vehicle without creating any emissions, except a little water. PRESS RELEASE: Billerica, Mass., November 7, 2013 — Nuvera Fuel Cells has announced that it will be working with Italian shipbuilder, Fincantieri, on a program to power hi-end marine vessels with advanced fuel cell technology. Nuvera has been commissioned to produce and deliver eight of its Nuvera® fuel cell stacks (total power 260 kW), which will be used as range extenders for use on marine vessels. 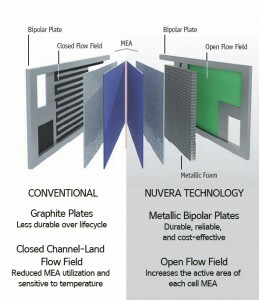 PRESS RELEASE: Billerica, MA, April 12, 2010 — Nuvera Fuel Cells announced today that the company has received two technical research awards from the U.S. Department of Energy (DOE) to increase the durability and performance of fuel cell stacks designed to meet DOE's 2015 cost and durability targets. Both projects support Nuvera's product development plans to reduce fuel cell capital and life cycle costs for both advanced automotive technology and next generation PowerEdge™ material handling products. Both projects are scheduled for completion in 2012. The overall value of these programs is $11.1 million, of which the DOE is directly funding $8.4 million.